Welcome! The State's Attorney duties include representing the State of South Dakota in criminal and juvenile court, and advising and when necessary defending Davison County in civil matters. The Davison County State's Attorney is a full-time position. 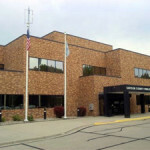 The State's Atrorney works with local law enforcement including the Mitchell Police Department, Davison County Sheriff's office, South Dakota Highway Patrol and the Department of Game, Fish and Parks, to enforce the laws of South Dakota. The State's Attorney makes all final charging decisions in regard to violations of the law and prosecutes those charged with crimes in court. Office Location: P.O. 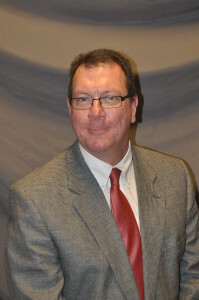 Box 6, 520 N. Lawler St.
Jim is a highly accomplished attorney with broad legal knowledge who has provided counsel to government and private organizations for 24 years. Thorough in analyzing statutes, ordinances and data. He is a trial lawyer who communicates clearly and effectively with law enforcement, victims, opposing council, jurors and judges and develops lasting professional relationships. Jim was born in Wessington Springs, South Dakota, however, was raised in Mitchell. He is married to Jeanice Miskimins and has two children. Engaged in a general practice law firm with significant responsibilities for assisting clients with a broad range of civil and criminal legal issues – Many years of experience as Davison County Deputy State's Attorney, with primary responsibilities as trial lawyer and juvenile prosecutions. Resurgam Lodge #31, A.F. & A.M.
Corn Palace Shrine Club, A.A.O.N.M.S.